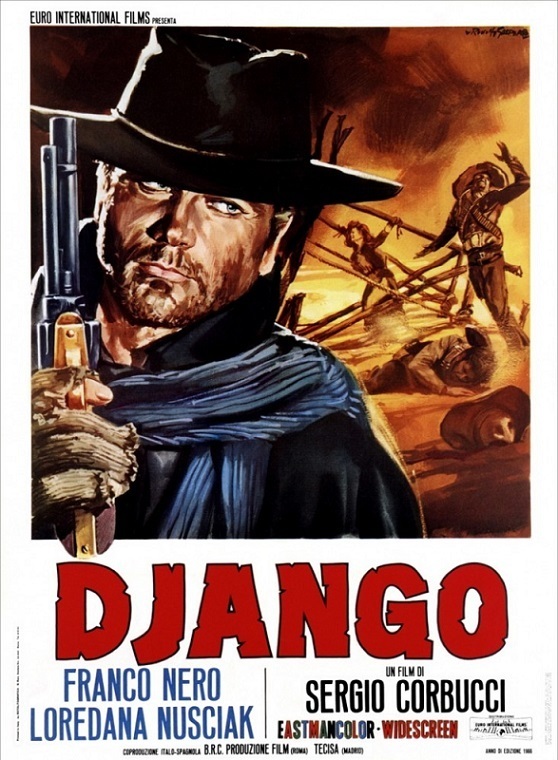 Django is a 1966 Italian Spaghetti Western film directed by Sergio Corbucci and starring Franco Nero in the eponymous role. Intended to capitalize on the success of Sergio Leone's A Fistful of Dollars, Corbucci's film is, like Leone's, considered to be a loose, unofficial adaptation of Akira Kurosawa's Yojimbo. The film earned a reputation as being one of the most violent films ever made up to that point and was subsequently refused a certificate in the UK until 1993, when it was eventually issued an 18 certificate. The film was downgraded to a 15 certificate in 2004. Although the name is referenced in over thirty "sequels" from the time of the film's release until the early 1970s in an effort to capitalize on the success of the original, most of these films were unofficial, featuring neither Corbucci nor Nero. 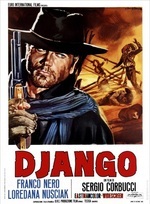 Nero did reprise his role as Django in 1987's Django 2: Il Grande Ritorno (Django Strikes Again), in the only official sequel to be written by Corbucci. Nero also has a cameo role in Quentin Tarantino's 2012 film Django Unchained, a homage to Corbucci's original. Critic Jeffrey M. Anderson of the San Francisco Examiner called it "One of the greatest of all Spaghetti Westerns."